An Arizona woman who was crossing the street pushing her bicycle became the first person to be killed by an autonomous vehicle operating in self-driving mode. In recent weeks, with legislation pending in Congress and the US Department of Transportation set to release new driverless car regulations, the Missouri Bicycle & Pedestrian Federation has been working with a national coalition of roadway safety groups to push for greater oversight of driverless vehicles, which have a well known blind spot when it comes to tracking and operating safely around people who walk and bicycle. We feared that allowing autonomous vehicles to operate on our roads and highways, when they have a known issue dealing with people who walk and bicycle--who are frequent users of our public roads--would inevitably lead to tragedy. The Federal Highway Administration and NHTSA are currently developing federal regulations for autonomous vehicles--driverless cars. Though autonomous vehicle technology has huge potential to improve road safety for all users of our transportation system, current systems have a huge and unfortunate blind spot when it comes to people who walk and bicycle--particularly with regard to cyclists. Wednesday and Thursday this week I'll be in Washington DC visiting every Missouri congressional office during the National Bike Summit. If you follow the news you know there are some huge battles going on in Washington about the future of our transportation system. So getting toour Missouri members of Congress this week to let them know how important bicycling, walking, and trails are to people like is is very important. Will you take a few minutes to call or email your members of Congress to support our message? Bicycling, walking, and trails are very important to me. Coy Hart of Springfield, a long-time MoBikeFed Board Member, League Cycling Instructor, Ozark Greenways & SpringBike volunteer, and bicycling & trails advocate, passed away Saturday after an extended illness. The groundbreaking for Phase 1 of the Jackson County portion of the Rock Island Trail will take place March 8th, 2018, at 10:00 at Hartmann Park, 700 SW Pryor Rd, Lee's Summit. Phase 1 includes a portion of the 17.7 miles of the Rock Island Corridor purchased by Jackson County and the KCATA in 2016. All of that corridor will eventually be developed into a trail, linking with the existing 47 miles of Rock Island Trail at Pleasant Hill, which connects with the Katy Trail at Windsor. This section is a key portion of the Rock Island/Katy Trail system that has been envisioned for decades to connect across Missouri state line to state line. Kudos and congratulations to the Jackson County Rock Island Rail Corridor Authority for reaching this important milestone. Vermont's experiment with roll-on bicycle on Amtrak: Could it come to Missouri? Today is the last day to submit your public comment in support of mountain biking in Ozark National Scenic Riverways (ONSR)--Missouri's National Park--and in support of an amazing potential 280-mile Ozark Trail Mountain Bike Trail System that is only possible of a few key mountain bike trail connections are allowed through ONSR. ONSR was created in the 1970s and has never allowed mountain biking on any trails within its boundaries. So we are asking for a big change ONSR policy, and when the you speak up in support of this important change it really makes a difference. The Ozark Trail is an amazing 350-mile trail through scenic southern Missouri. All of it is open to hiking--but only a portion to mountain biking. That is what is possible--in just the next few years--with your help. A MoBikeFed analysis of the proposed Ozark National Scenic Riverways (ONSR) trails plan shows that it opens just ONE-SIXTH the amount of trails to mountain biking as do other similar trail systems in Missouri. Furthermore, the current proposal lacks two key trail connections required to make a complete, contiguous, and connected 280-mile section of the Ozark Trail mountain bikeable. A few years ago, serious regional bicycle and pedestrian planning was the domain of a few of our largest cities--Columbia, St. Louis, Springfield, St Joseph, and (most recently) Kansas City. But no more--right now we have serious bicycle and pedestrian planning or implementation initiatives going on in far southwest Missouri (Harry S. Truman Coordinating Council), in Joplin, in Jefferson City, in Rolla, in the Kaysinger Basin Regional Planning Commission (Warsaw area), and several other areas around the state. 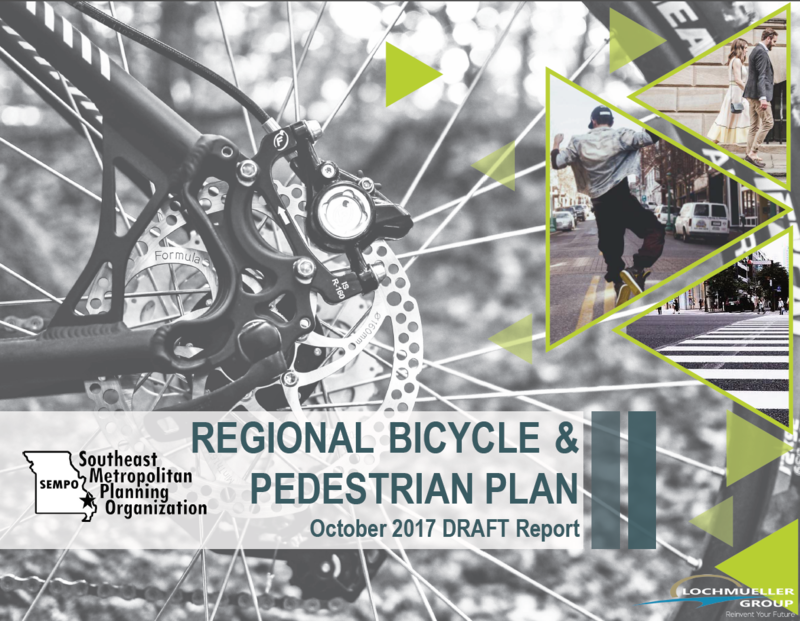 To that list, add the Cape Girardeau region, as the Southeast Metropolitan Planning Organization (SEMPO) has been working for some time on an extensive, detailed, and comprehensive regional bicycle and pedestrian plan. Now SEMPO has released the draft plan, is asking for public feedback on the plan, and is planning a public open house on the plan January 9th, 2018. 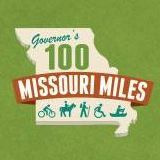 If you live, work, bicycle, or walk in the Cape Girardeau/Jackson area of Missouri, please take a few minutes to give feedback on the plan. A new trails plan for Missouri's Ozark National Scenic Riverways has the potential to create a massive 280 mile mountain biking system. But your feedback is needed to help build support for these important new trail links. Ozark National Scenic Riverways - Missouri's only national park area with the potential to allow extensive mountain biking and hiking trails - has extended the public comment period on its roads and trails plan until January 15th, 2018. The new roads and trails plan proposes, for the first time in ONSR history, to allow mountain biking on some of the trails in ONSR.